At Tampa Steel & Supply, we know it’s not enough to just have high quality products. You also need the very best in steel and metal services to ensure that you get the right type of metal for your project. That’s why at Tampa Steel & Supply, we have metal shearing capabilities for all your projects. No matter if you’re working on a large commercial project or a just something for your home, you can rely on our shearing services. A metal shearing machine is used for cutting sheet metal, plate, aluminum and stainless steel to size. This provides a cleaner cut and straighter edge then traditional torch cutting. The metal to be cut is held in place with hold-downs. The cuts are positioned by a squaring arm with scale on it or with a back gauge. Other angles are possible with an angle gauge. On some sheet metal shears and most plate shears, the blade gap is adjustable for different metal thicknesses. 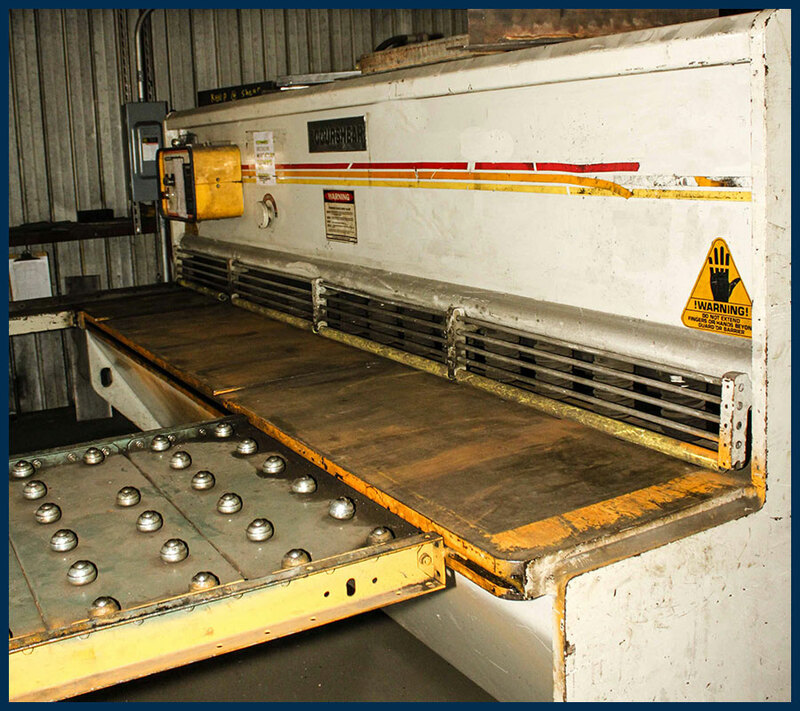 At Tampa Steel and Supply, we use high quality technology when it comes to metal shearing. The Hydraulic Sheet Metal Shear Machine – Accurshear is used for cutting sheet metal, plate, aluminum and stainless with a clean straight cut with minimum waste. It’s the most accurate machine available of this type, so you can rest assured you’re receiving the highest quality of metal shearing services. No matter how big or small your project is, at Tampa Steel & Supply we’re here to help! Just give us a call today and find out how we can take care of all your shearing needs. Plus, be sure to ask about how your order can qualify for next day delivery.